Tibet Ctrip Travel Service-TCTS (www. 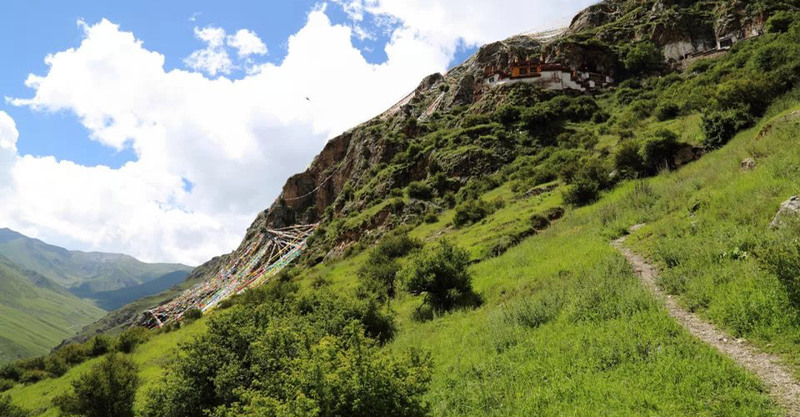 tibettravelexpert.com) offers half day trek with guide and transport to Drak Yerpa Hermitage. This excursion outside of Lhasa city is available as a part of our customized Tibet tours. Drak Yerpa is located on a hillside in Dagzê County of Lhasa. The entrance to the Yerpa Valley is about 16km northeast of Lhasa on the northern bank of the Kyichu. From there, it is another 10km to the famous ancient meditation caves in the spectacular limestone cliffs of the Yerpa Valley. There is an ancient sky burial site opposite the main caves. The famous legendary hero Gesar of Ling has once visited the valley. The holes his arrows left in the cliffs are the evidence of his presence. Drak Yerpa consists of a monastery and around 108 ancient meditation caves that used to house about 300 monks. You will also find numerous such small statues and murals preserved within these caves. The opening hour is from 9:00 to 17:00. The admission fee is RMB 25. The caves are naturally beautiful, with a view over-looking Drak Yerpa Valley. Some contain chapels of large statues of Buddhist figures, including a thousand-armed depiction of Chenresig, the Tibetan name for the Buddha of Compassion. One cave is infamous for housing a criminal, the assassin Lhalungpuk. Legend goes that he murdered the Bon king Langdharma in 842 and fled to Drak Yerpa. He hid out in a cave for the next 22 years. The Emperor Songtsen Gampo meditated in seclusion here: Guru Rinpoche and several of his disciples also meditated here. Although the ancient Kadampa Gompa is no longer there, the geomantic qualities that made Drak Yerpa a major power place still remain and still attract hermits to its caves. Tibet Ctrip Travel Service-TCTS (www. 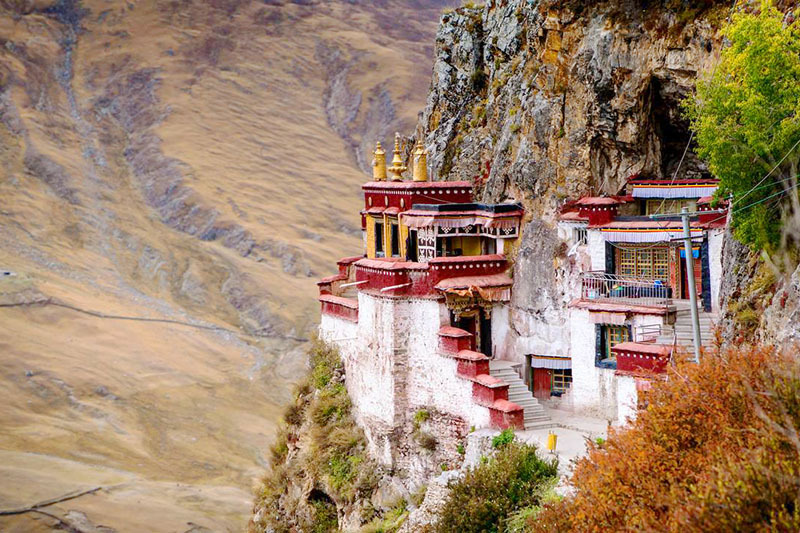 tibettravelexpert.com) offers half day trek with guide and transport to Drak Yerpa Hermitage. Tibet Travel Expert of Tibet Ctrip Travel Service Team is especially experienced in arranging customized Tibet tours with the less-visited attractions of Tibet. Please get in touch with us via email, [email protected], to find out more isolated attractions of Tibet for your Tibet tour.